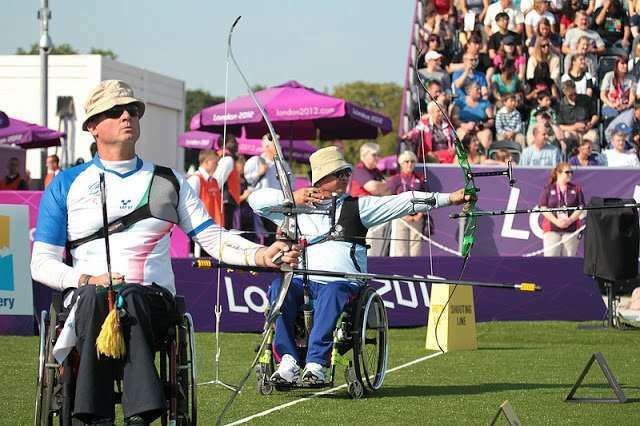 Uniform, protective gears and most of the equipment used in para-archery are same as those used in archery for able-bodied athletes. 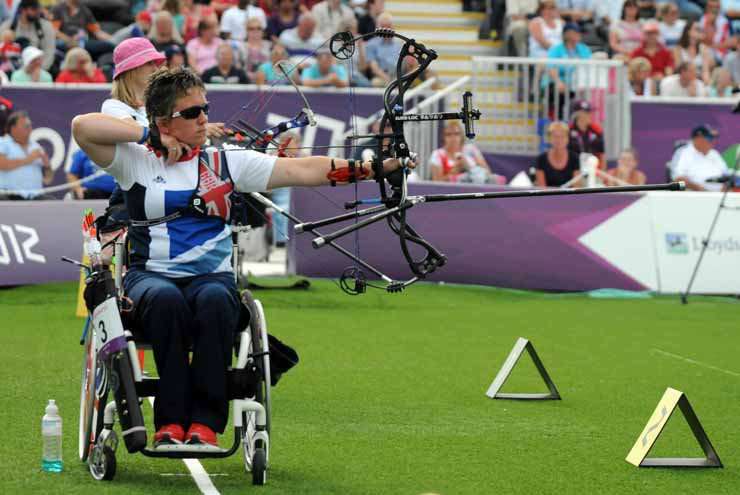 The wheelchair archery athletes use seat and back cushions with specifications on the thickness of the cushions. Generally, the back cushions are of 5 cm and seat cushions of 15 cm in thickness. Another equipment used include chest straps, and universal cuffs to help in holding the bow, bow sling, amputee adapter device, and an adapted archery bow. 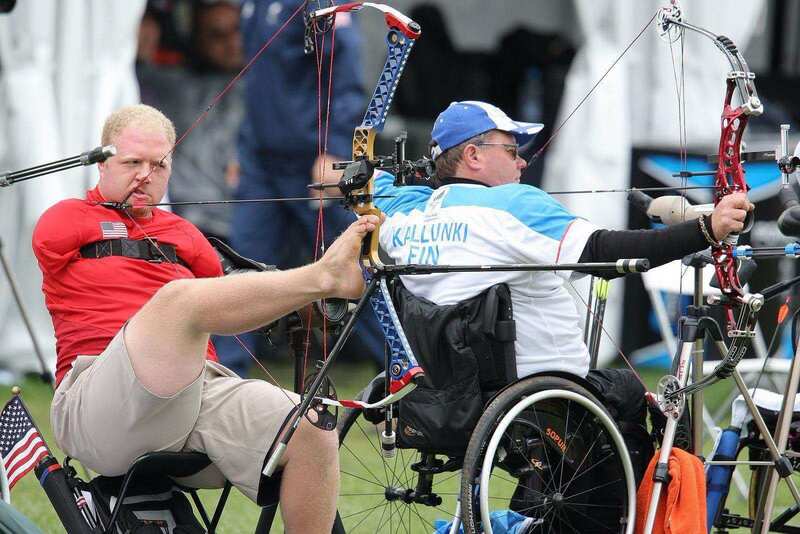 Paralympic archers use a recurve bow which can be made of wood, fiberglass, graphite or carbon composites. The arrows are either of aluminum or carbon graphite.